I'm super excited to be sharing my trip to Japan! Its been one of those cities I've always wanted to visit as long as I can remember so it really is a dream come true. Now this particular place was probably one of the coolest cafes I've ever been too! 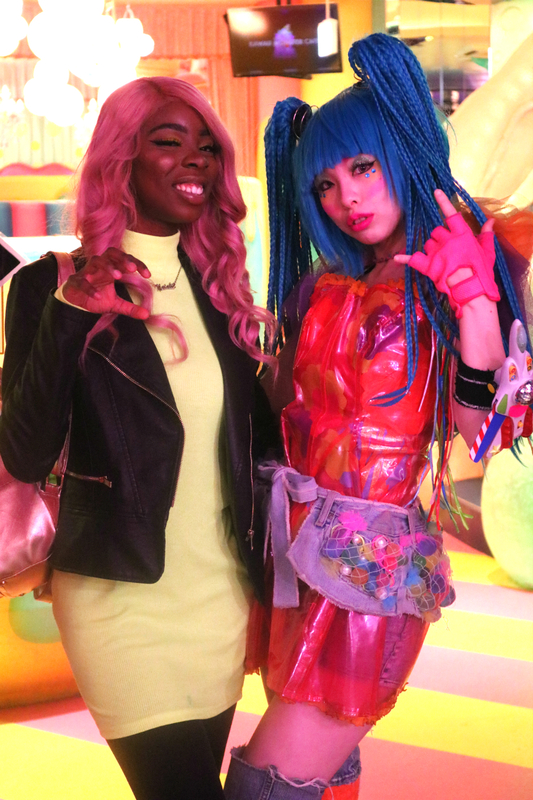 Kawaii Monster Cafe was full of bright funky colours and the decor was like something out of a movie. It really was like escaping reality and entering something out of this world. 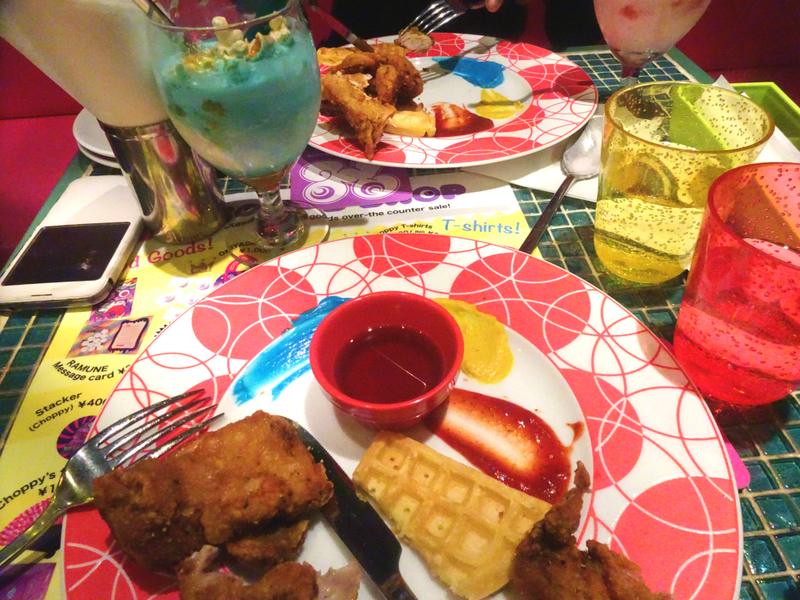 The hosts in the cafe were super welcoming and escorted us to a table - not to mention the dancers were soooo cute! 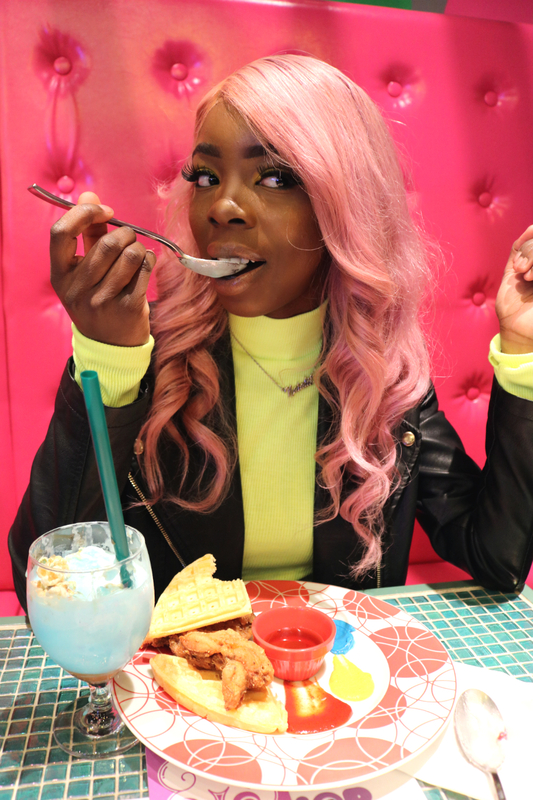 They loved my pink and neon ensemble , actually a lot of people did in the cafe! Now lets talk about the menu... very interesting! I can confidently say it really did taste as good as it looked. 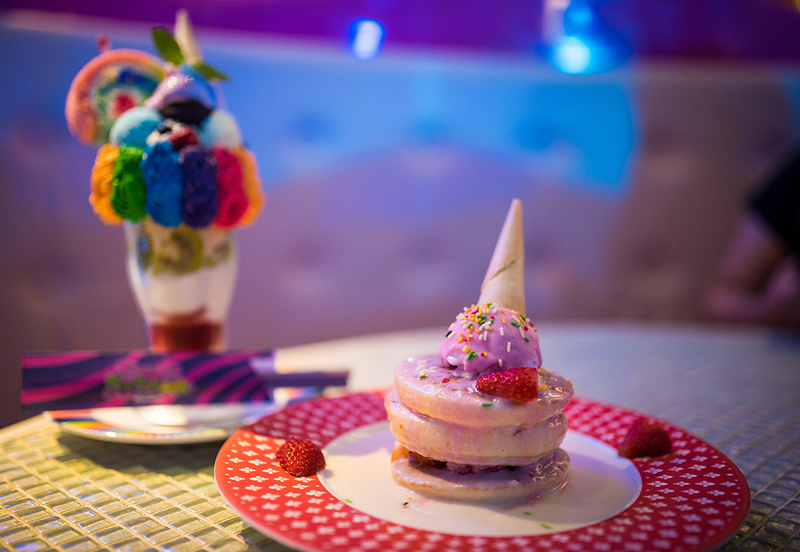 I love how the food was just a colourful as everything else - you can tell just how much effort goes into creating that experience and genuinely enjoying great food and performances from the dancers. 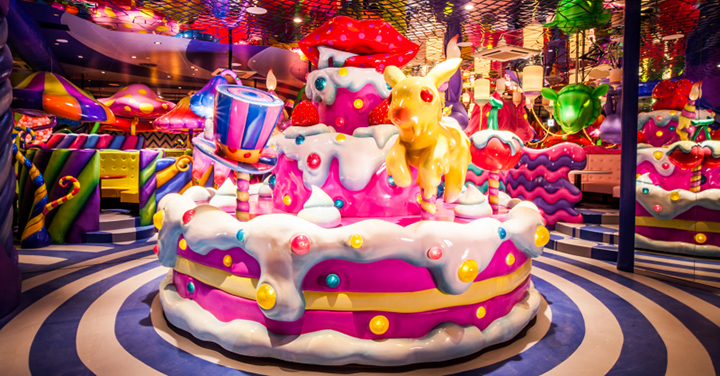 So if you're looking for somewhere thats out of the ordinary Kawaii Monster Cafe is the place to be! Stay tuned for more adventures in Japan !